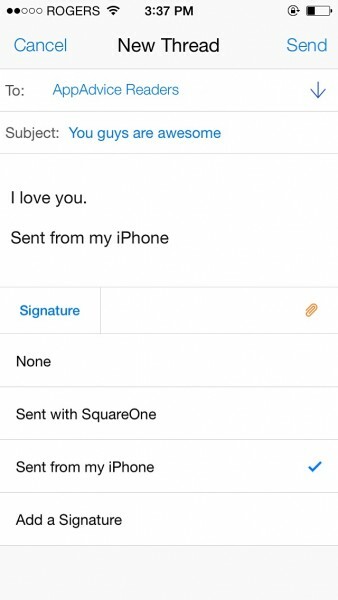 SquareOne tries to clean up your inbox by allowing you to sort email into any number of categories, or “zones.” After setting up your own zones and telling SquareOne which contacts belong to each, the email from your friends, family, co-workers, newsletter subscriptions, banks, and wherever else else will automatically be sorted into your series of zones, which are all available from the Dashboard. 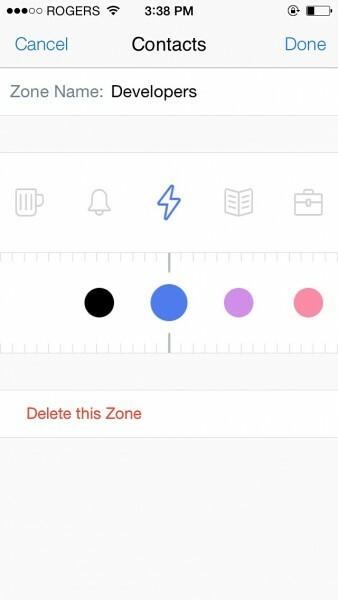 At first, I thought that the idea of having zones would make things more complicated and time-consuming, but after learning about this next feature, my perspective changed. 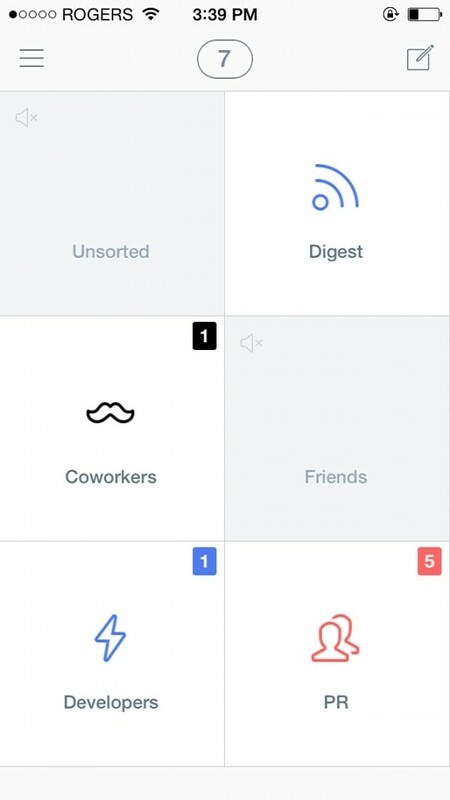 After setting up zones, you can mute or un-mute them at any time by swiping to the right on their respective tiles. 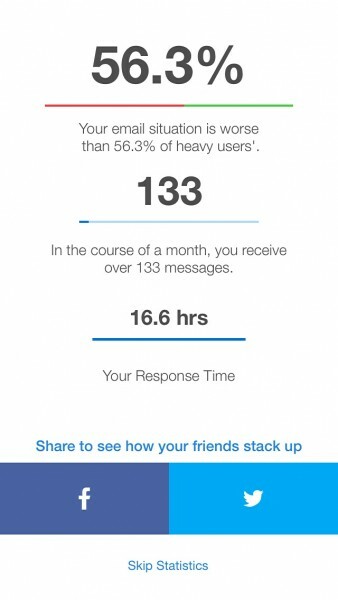 This means that you won't receive push notifications for them during that time. Also, by swiping left on any message, you can place it in any zone, or just throw it into your archive by swiping right. For example, are you going on vacation? Or has your weekend just begun? If so, a simple swipe on your “Coworkers” zone will keep them from disturbing you during that quality time. Adversely, you can stop being bombarded by the chain mail sent by your parents while you're at work with just a swipe of your “Family” zone. 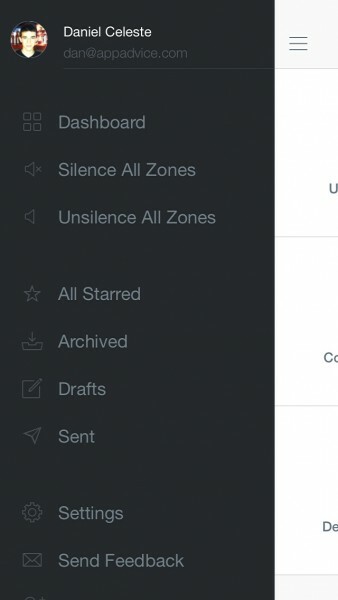 The fact that it is extremely easy to toggle muting on each zone ensures that you will only get alerted about the email you care about when it's important to you. 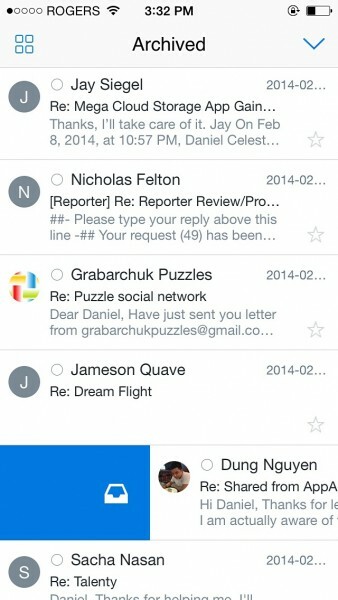 Besides the zones, SquareOne is a relatively average email client. 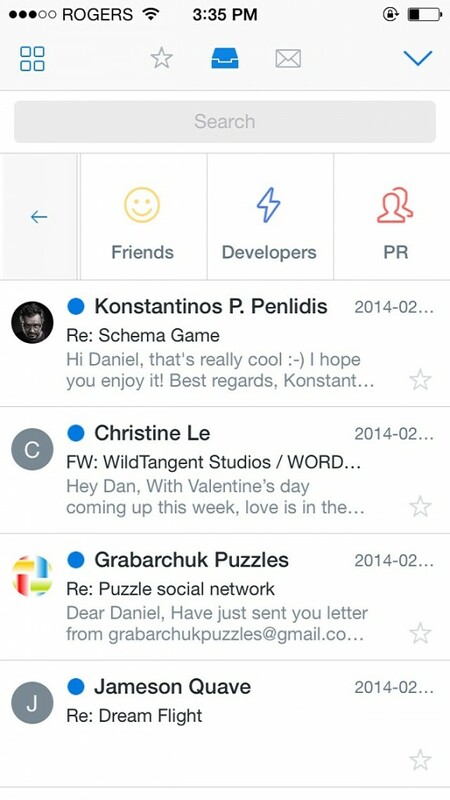 You can view messages in any folder, star them, mark them as read, and send responses or emails with a new subject from within the app. 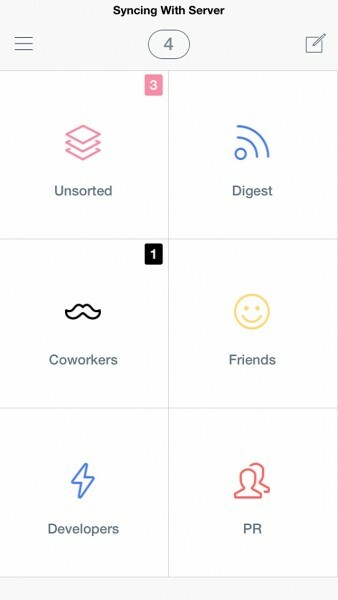 Each location is accessible via the side menu, which is brought up by tapping the “hamburger” button, and the design and user interface is responsive and smooth enough that SquareOne is worthy of being anyone's email client – that is, as long as you only use your iPhone for email. 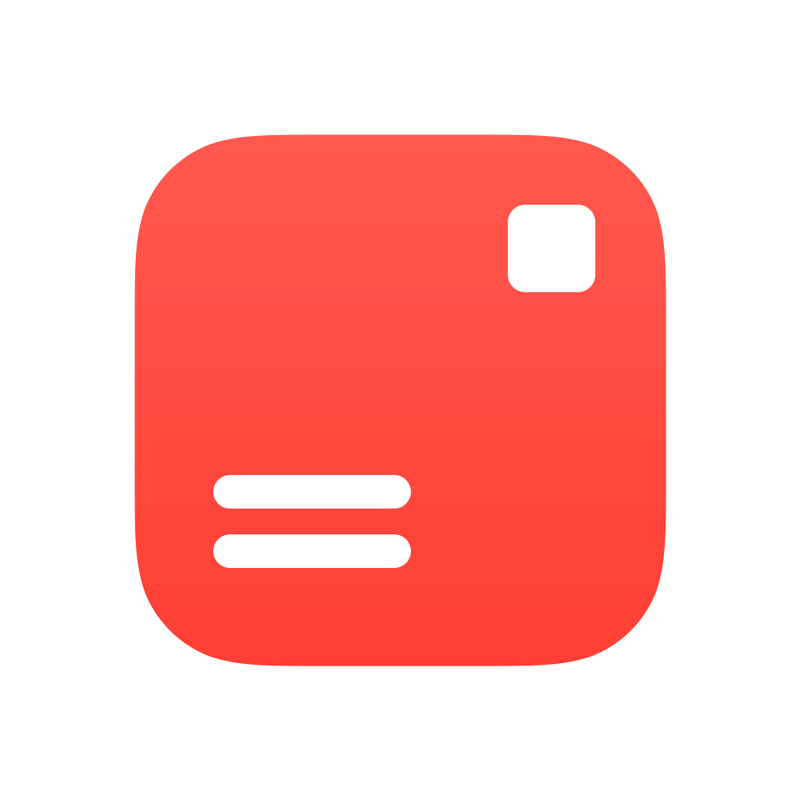 My only reason for being hesitant about using SquareOne primarily is, well … just that. 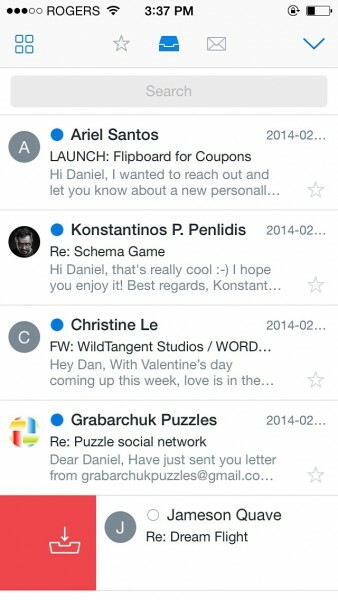 I'd like to have a solution available everywhere since email is meant to be accessed on multiple types of platforms, and while the app does a fantastic job of organizing email on my phone, it also makes the thought of accessing my inbox anywhere a real scare since zones and sorting rules are not carried across. 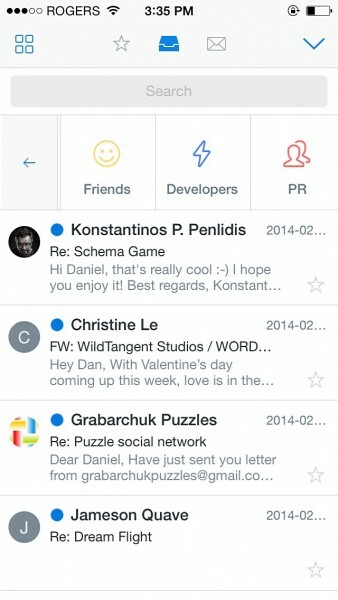 Despite this drawback, if iPhone is your main device for email, I would definitely check out SquareOne in the App Store for free to see if it fits your needs.